Size: L, Color: True Teal and White/White and Spring Purple (-) is currently out of stock! 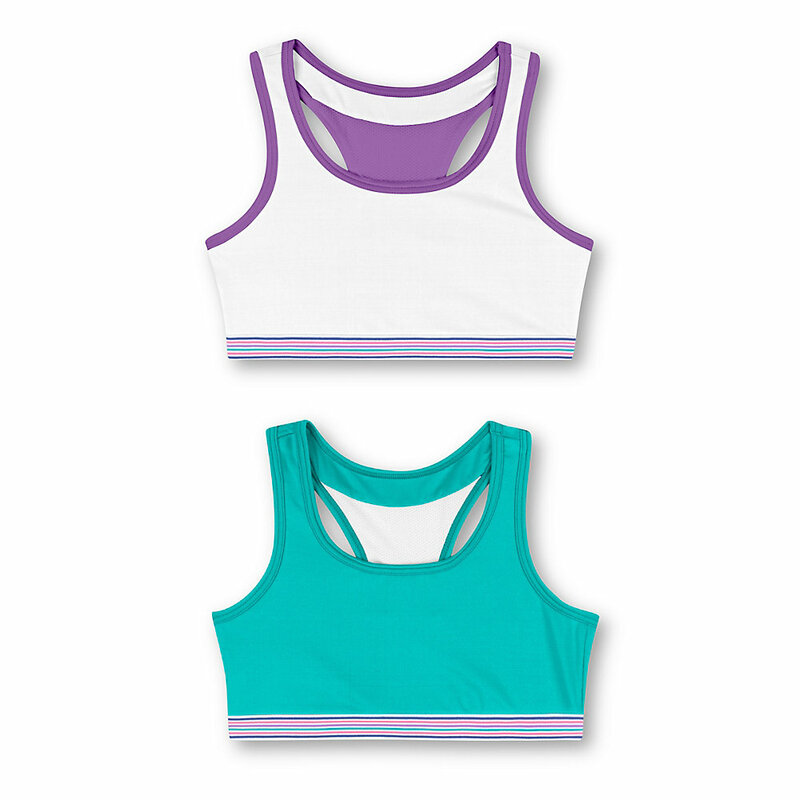 Girls on the go will love the on the go comfort of our pullover bra with wide racerback straps.Breathable mesh fabric for added comfort.ComfortFlex Fit 4-way stretch fabric provides a flexible fit that shapes to fit you. 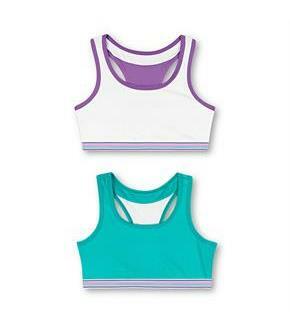 Cool Comfort moisture wicking fabric keeps her cool and dry.Racerback design gives her more range of motion and eliminates annoying straps that slip.Guaranteed fit.Available in a convenient 2-pack.